Martynas plays the accordion at Wimbledon! Looks like the only 'love' in the queue at Wimbledon is that of the crowd for Martynas. 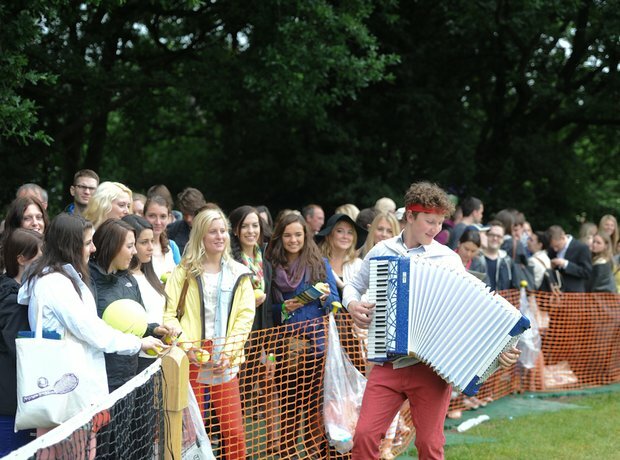 See the full gallery: Martynas plays the accordion at Wimbledon! Martynas on Lady Gaga for the accordion: "Nothing could be more weird"